The latest news on DPR projects and people. Building Design+Construction named DPR the No. 1 data center builder in the country, No. 2 in reconstruction as well as science and tech, and No. 3 in building information modeling (BIM). 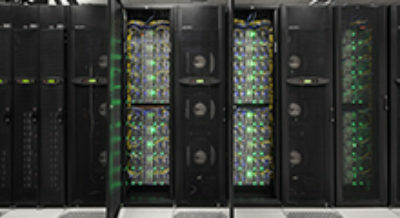 Engineering News-Record also ranked DPR first in data centers. Number of projects awarded to DPR to date in 2013 that are less than $5 million. 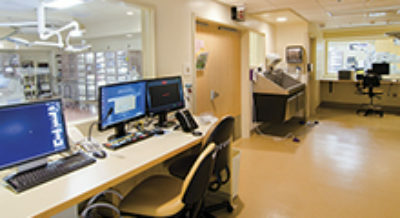 Recently, DPR’s Special Services Group (SSG) team completed a hybrid operating room modernization and renovation. Read more about the project in "Delivering Predictability in an Unpredictable Setting." 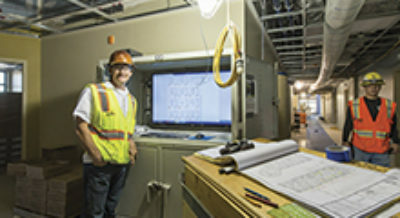 Estimated increase in labor productivity in drywall and framing on UHS Temecula Hospital project after self-perform work crews reviewed video studies of their work and made suggestions for improvement. 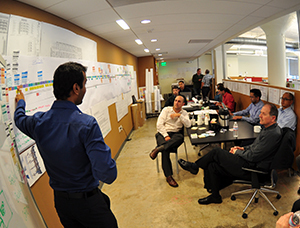 Read more about the project in "Field Review: BIM-Enabled Sequence Swap."